White-labeling a trading platform generally seems like a brilliant idea. It means peace of mind and new efficiencies for the company buying into it, as no longer do you have to worry about developing, building and then maintaining and supporting your own platform; you simply take a system designed by someone else, add your brand to it and get on with your core business of trading, leaving the technological headache to your IT partner. However, one reason brokers want to go all the way and develop their own trading platform rather than use a white-labelled offering is to be able to provide a unique set of beneficial features to traders that makes them stand out from the crowd. A regular white-labeling offering is an out-of-the-box platform, which while affordable, does not offer the level of customization needed to provide differentiation from competitors; if everyone’s trading platform looks the same, it becomes commoditised and all you can do to stand out from the crowd is try to undercut on price. At this juncture, many are stuck between a rock and a hard place. On one hand, not many are willing to invest in the CAPEX-heavy side of platform development and then commit to the high OPEX involved in keeping it going. On the other hand, there is a pressing need to offer traders a tempting, unique platform that makes them more successful, and therefore encourages them to stay loyal. This is where deep white-labeling comes in. Deep white-labeling means doing more than simply sticking your brand on top of an existing system that offers the same features to everyone using it. 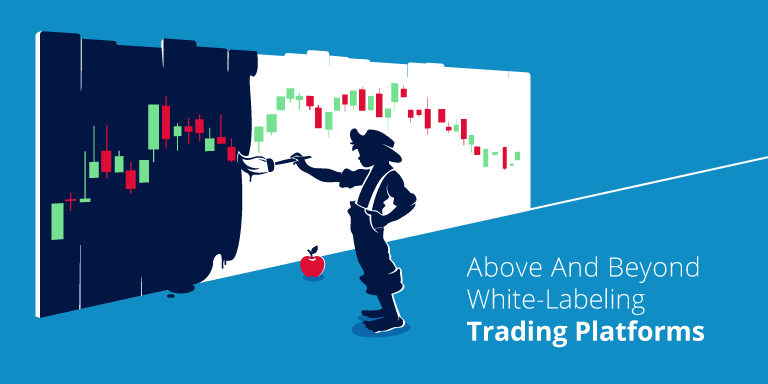 Deep white-labeling is, much like it says on the tin, integrated deeply into the brokers own platforms, and therefore allows the broker to make customizations that are unique to their company, allowing them to stand head and shoulders above the rest. A deep white-labeling platform needs to be architected as such from the start. 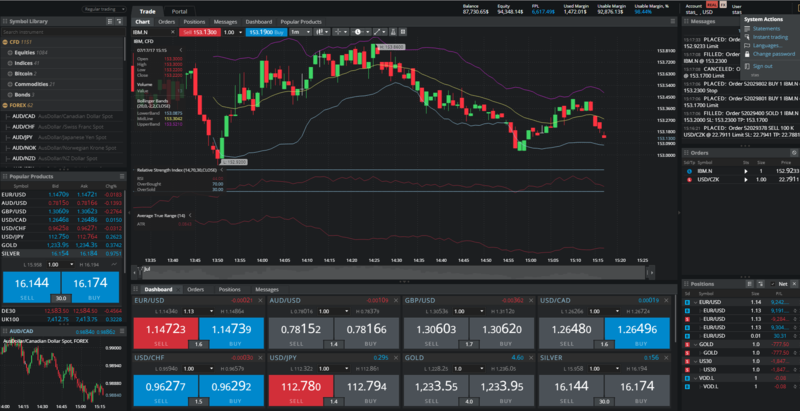 While all platforms will offer basic charts, quote tables, symbol search, order book and order entry, the real benefit is in adding other aspects. These can include areas such as analytics in the guise of dynamic watch lists, advanced charting tools and studies, a single sign on to the platform and a client’s cabinet on the broker’s side, and the ability for a trader to monitor their own effectiveness and to learn from imperfections. These and other innovations will appeal to traders and make it easier for them to do their job successfully. Devexperts’ dxTrade has been created to provide high levels of integration and flexibility with brokers’ systems. This enables them to customize features both on the back end and also on the client side of the platform, for a truly individual product offering. Additionally, dxTrade, which is provided as a true technological partnership between the client and Devexperts, is flexibly designed to allow multi-asset and multi-market trading, so the same platform using the same interface can at the click of a button provide users with the ability to trade anything they wish, from e-FX to Stocks, Futures and Options. As a result of our hard work and innovation, brokers no longer have to contemplate spending vast amounts of money on developing and maintaining their own systems. It is now easy to stand out from the crowd while controlling costs. 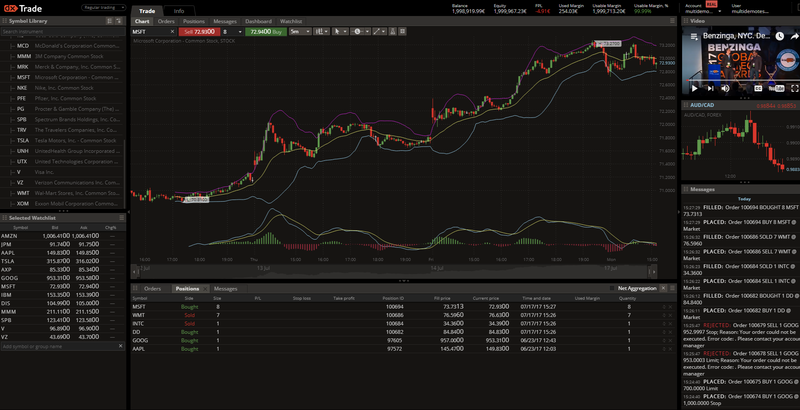 dxTrade is a starting point for almost all trading platform developments. 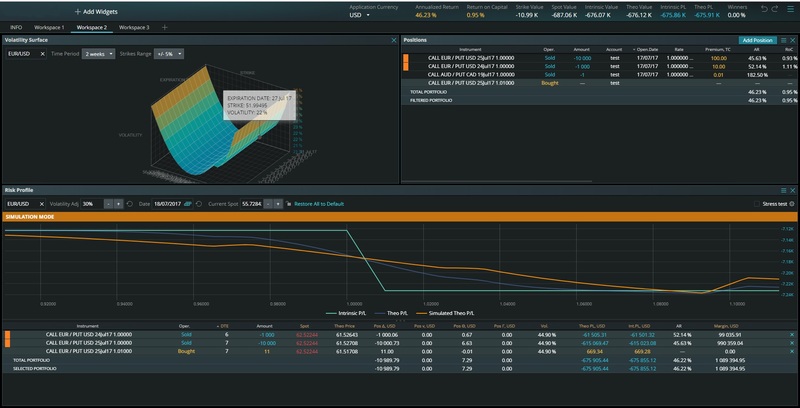 Here is an example of an off-the-shelf trading interface that a broker can use from day one. This next example is based on the dxTrade solution. It is a B2B solution for a large institutional brokerage, which created more than 20 further white-labels for retail brokers. This is a platform developed for a Japanese client. Japan has specific regulations and trading rules, so to simply rebrand a basic white-labeling solution was not possible in this case. Deep white-labeling was therefore an obvious choice. 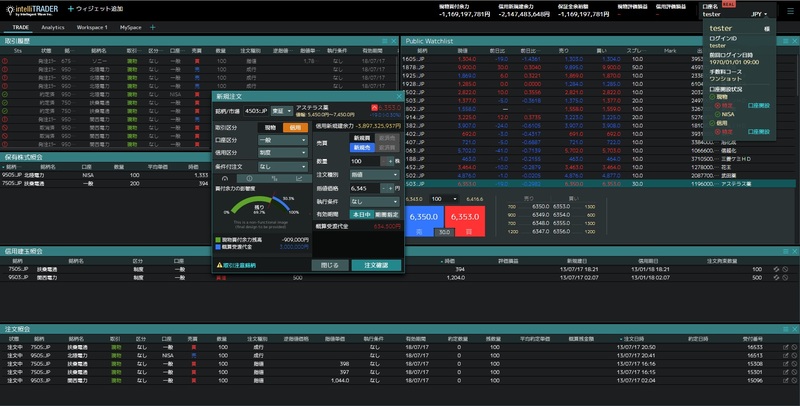 Because of the level of customization, it is hard to see that dxTrade is the core of this platform. Gedik – a platform that quickly set a high standard on the Turkish market. 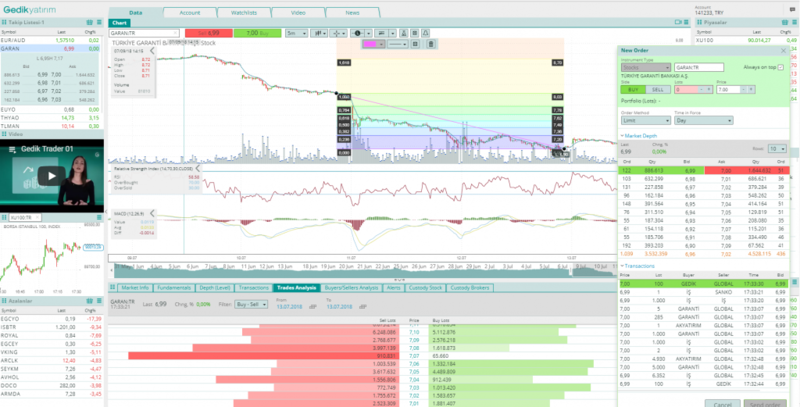 It is another example of deep WL of dxTrade platform. Deep white-labeling also works for innovative products. In this case there were no similar products on the market, making this one truly unique. Going for this kind of development – a combination of deep white-labeling and customized tweaks, allowed us to develop a product with this client for a niche segment of users (HNWI).